Positive Person. Coaching helps you to be a more balanced person with a positive outlook toward life despite uncertainties and challenges. Increased Productivity. You will be in control of yourself and time, thus you can achieve more in a day and achieve your goals. Overcoming limiting beliefs and getting clarity, thus you will experience satisfaction in life. Viviana is a Certified Professional Coach (CPC) and an Associate Certified Coach (ACC) from International Coach Federation. She provides life coaching to individuals and business coaching to independent professionals, small business owners or solo entrepreneurs as well as to those who are in transition to seek a change in career or business. Her mentor coach cited that she helped the client shift a perspective or tackle a disempowering belief with ease. 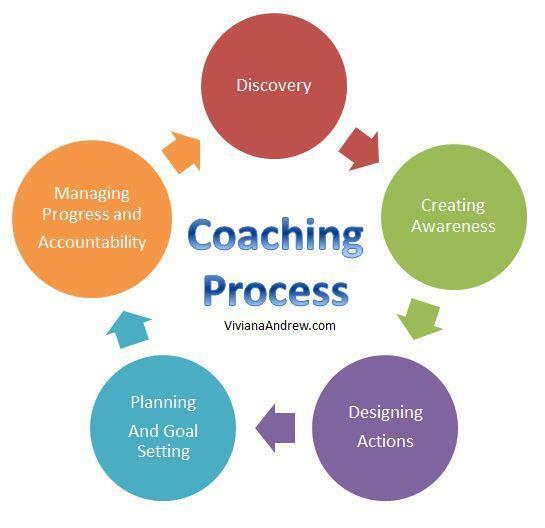 What Is Coaching Process Like? Creating Awareness: Help the client to have self-awareness. Awareness is the key for the client to gain clarity and find her own solution. Designing Actions: Explore possibilities and opportunities and help the client design the actions. Planning and Goal Setting: make the plan and set the goal which is attainable, measurable and have target dates. Basically everyone needs coaching to make measurable progress month after month so that they can have a positive life. Ask yourself what challenges do you want to overcome in your life? What goals do you want to achieve? Coaching is for you if you want to experience fulfilment and be ready to move forward in your life. You must take the initiative to seek coaching and be willing to be coached. You can save time and cost in online coaching. I will provide online platform for coaching session. Please make sure that you have a good Internet connection, microphone and webcam. Coaching needs your commitment and taking actions. I will hold you accountable by following your progress and goals. I provide the necessary tools and exercises to help you throughout coaching sessions. Ready to Take Actions? Get Support You Need Today! Best for you if you want to gain an insight of coaching for the first time. Best for you if you want to see changes and viable results for your life and or business. Best for you if you want to discover what you can unfold with what you have.